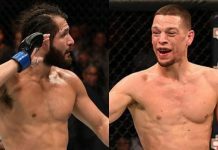 Nate Diaz may still be laughing at Dana White’s latest fight offer but that isn’t stopping the Stockton native from getting his training rounds in. 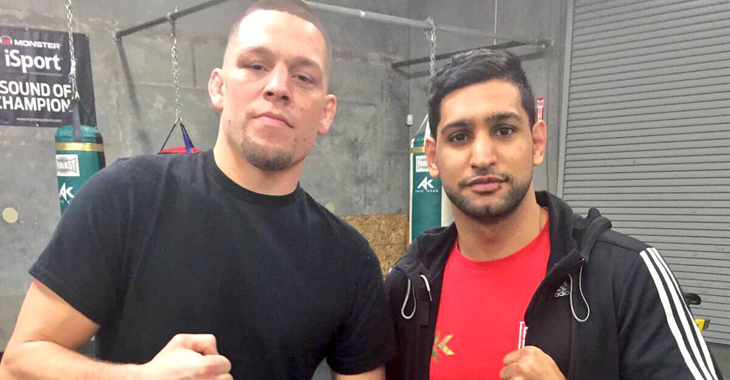 Diaz recently posted a photo with boxing superstar Amir Khan at Khan’s boxing club in San Francisco. 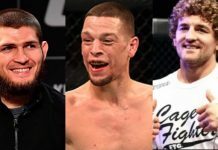 Although Kahn was mistaken with Nate being a former champion, it shows that the younger Diaz brother is still making it a point to train with the top talents in all the aspects of martial arts. 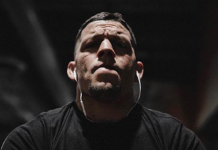 With recently applying for a boxing license feeling like he is being put “on the shelf” by the UFC, Diaz has got some great training talent around him. 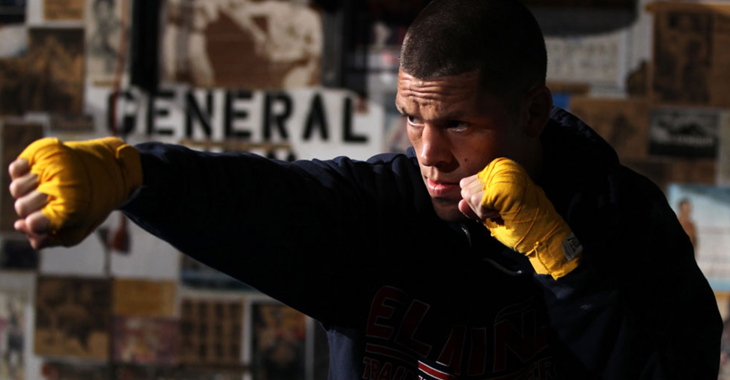 If Diaz does happen to make it into the boxing ring, he should be more than prepared. 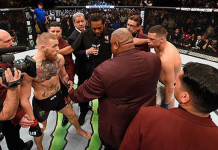 “Now [McGregor] is talking about this Mayweather stuff and it’s getting all this hype, and I’m like ‘Do your thing with Mayweather.’ But if they let him out to box, then I’m boxing somebody too – somebody mainstream on the same card. 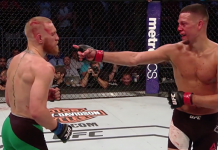 Or another card – whatever,” Diaz told ES News. 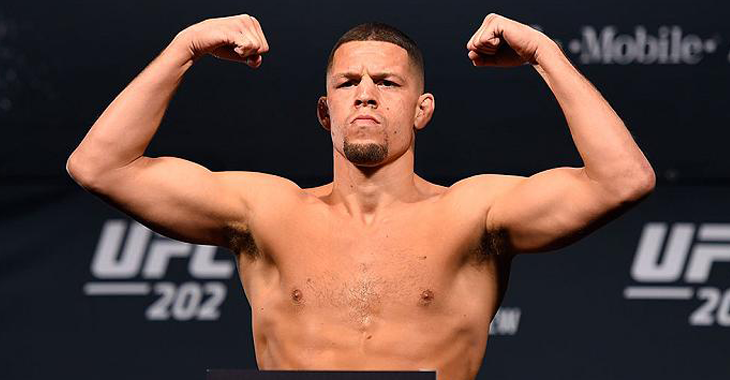 What are your thoughts on Nate Diaz taking his talents into the boxing ring? Sound off in the comment section!